Turn your pastime into a career, and get paid to post. Do you enjoy posting on Facebook or Twitter? Maybe you’re the social media person at work? Do you like interacting with the world on social media? Are you the 'social media expert' among your family and friends? If so, you could use these skills to gain an amazing career as well-paid social media expert – or help your business become more successful. 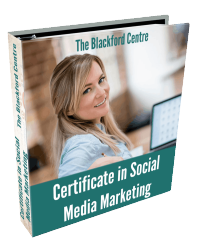 The Blackford Centre's Professional Certificate in Social Media Marketing shows you how to get paid to use your knowledge of social media. You can study the course online at home. There's no pressure – and we give you lots of support. - Go self-employed: fire your boss, and choose your own hours. - Work in a glamorous agency. - Or get the comfort of working for a major corporation. Wherever you want to work, you'll be needed. On the course you'll learn to use social media professionally. You'll discover the best tools. And you'll understand how to become a powerful influencer, transforming people’s perceptions. Social media is today's way of talking to prospective customers, sharing information, gaining new insights, and influencing the world. As a social media marketing expert you become the face of a business. That's why social media experts are so important to a company, and why they're today's high earners. And the demand for social media experts will only increase as social media becomes the norm for communication. Can I really become a social media expert? According to marketing expert Jeff Bullas, nearly 1.7 billion people worldwide have social media accounts. 4.5 billion Likes get clicked every day. That's a lot of people (nearly a quarter of the world’s population!). These people are interacting with their favourite brands and lapping up the latest news and stories. This means a social media expert can powerfully influence the way people think and spend their money. And if you use already social media, you'll have some knowledge and skills to start with. You're already half way to earning good money. You can be the social media guru in a digital agency. Maybe you want the security of being employed in a big organisation? Or the style and creativity of working in an agency? Or the freedom of being self employed? Whatever route you choose, your skills will be needed. As a social media manager you'll be promoting your clients' or employer's products, and dealing with queries from the public. You become a public relations expert, building up the public awareness of the brand and showing how it can change and benefit the customer. The role of a social media manger is crucial to the long-term success of a business. The history of the commercial world is littered with the wreck of businesses that didn’t take their public image seriously enough. Just think of some of the image disasters, such as Volkswagen's fraudulent fuel emissions tests or Samsung's tablet disasters, to see how public perceptions of a product can be transformed overnight. Skilled social media experts deal with a problem fast, and communicate strongly. That can help defuse the problem. Less savvy businesses go quiet, refuse to talk to their public, and the criticisms mount. Your role as a social media consultant will place you at the cutting edge of a company’s public relations campaigns building and improving public perceptions of your company’s products and brand—what an exciting place to be. Your job will carry lots of responsibility but it'll be profoundly rewarding. You might be part of a larger marketing team with brilliant creative ideas flowing from person to person sparking an intense creative process. Or you could be the sole manager allowing the full expression of your own creative vision. Doesn’t that beat the daily grind working for an ungrateful boss in a dead end job? You've probably already been posting comments and snippets of news on your Facebook or Twitter pages, and now have your own blog up and running. But now you want to expand and move into a successful career as a social media expert. And you can, in as little as 7½ weeks with the Professional Certificate in Social Media Marketing. In today's social media scene anyone can become rich and famous on the internet. You've probably heard of the many people, some of them still in their teens, who've made it big in social media and the internet, names such as Amy Porterfield with over 140,000 followers or Brian Carter with 95,000 followers. You can add your name to this list too. But social media holds some very real dangers for the inexperienced as well. If you fall into those traps it can be disastrous for your career. That’s why being trained as a social media expert under the guidance of real social media experts is worth its weight in gold. You don’t need to have a marketing degree from Harvard but you do need to know the crucial information that we have included in our comprehensive course. That’s what is so special about the Professional Certificate in Social Media Marketing. The wealth of in-depth content, insider secrets to success, and helpful videos mean you can be confident that you will have all the tools you need to be a social media star. The question you need to ask yourself is not, ‘can I become a social media expert?’ You need to ask yourself, ‘will I regret missing this amazing opportunity for the rest of my life?’ With the Blackford Centre’s Professional Certificate in Social Media Marketing you can put aside your doubts and your fears and take a step into an exciting future filled with the excitement of creative passion. Why social media is so important for marketing. interesting and easy to follow. It’s not just that social media is where most people are having some really amazing global interactions with friends but social media is increasingly the place where people have important conversations around their consumer and brand choices, about what they buy and what they think. According to research, one out of three professionals is on LinkedIn and 88% of Pinterest users purchase products they have pinned. This represents massive advertising power; but that power needs to be harnessed properly. Many companies don’t really know how to use social media properly for marketing. Some executives think just having a company Facebook page will make the customers come flooding in. But that's a myth. It takes a real social media expert to create an effective social media campaign. Companies will pay big money for a good social media expert. This could be you. Help visionary entrepreneurs set the world alight with their exciting new products—you could be the spark that sets the next big start-up on its way. Imagine being at the grassroots of the next Tesla or Uber—what exciting possibilities await. Gain fame and thousands of followers. Explore your own creativity. As you think about and create your posts and media campaigns you can tap into that special creative spark that has been hidden for so long. As a social media expert you can take risks that you might not take in your everyday verbal communications. You can express different aspects of your personality and play various roles and you will find that your personal life and your relationships are richer for it. Enjoy financial freedom -- a new career as a social media expert can give you all the financial freedom you’ve dreamed of. Develop discipline. You know the saying, ‘you get out what you put in’ and developing a career as a social media expert will provide immensely satisfying rewards in terms of your own personal development. Learn new skills. Your training in social media will expand your knowledge but also help you strengthen those left-right brain connections, increase your vocabulary and clarify your thinking. A career in social media is good for the brain. Be free of boredom forever. With a career in social media every day is different and every project will call on all your creative resources—the result: an amazing degree of professional job satisfaction. Oh and did we mention, you can earn a lot of money as a social media expert? Where will I find my clients? This is where many would-be experts fail. Many people are bad at marketing themselves, even if they are marketing experts. The course will show you where to find clients. We give you systems to identify the most likely prospects, and how to convert them into paying clients. The sheer variety of clients is one of the great things about a career as a social media expert. You might choose to have the prestige of being employed full time as a social media manager for a large company; or you might prefer the independence of being a freelancer. But either way every day will be different. And you're the one in the driver’s seat. In fact, anyone who's selling anything or interacting with the public (and this includes sports celebrities) needs a social media expert. With the Professional Social Media certificate you'll be perfectly placed to make the most of the ever growing numbers of clients needing a professional social media manager. Ask yourself: do you have a particular passion? Maybe it's for football? Fashion? Celebrities? Novel writing? Food? Travel? Something else? Well, this could be your starting point. We show you how to reach out to businesses in those markets, and become their social media guru. On the course you'll learn how to set up magnets that draw clients to you. Each morning when you awake, you'll find queries from people enquiring about your services. 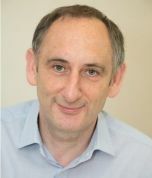 Research by Mark Collier among social media consultants found that most charge £800 - £1,600 ($1,000-$2,000) per month for managing a Facebook page, and £800 - £2,400 ($1,000-$3,000) per month for writing or editing about two posts a week for a blog. If you have six clients, you only have to produce 12 posts a week (hmm, that doesn't sound much), and you will be earning up to £14,400 ($17,600) a month. The choice is clear. For you, this is a career made in heaven. People only regret the things they didn't try. That's why you owe it to yourself to register on the course and become a social media consultant. We cover all the main social media sites, exploring what makes each one different. From Facebook to LinkedIn, and from Twitter to Instagram. And there's so much more. The course has been designed by social media experts who share those special insider tips that will make your success a certainty. Sometimes in life you're faced with a major choice. You have to decide whether it is better to stay with the old unsatisfying path you have always followed or whether you will take fortune by the hand and strike out in a new more promising direction. This is one of those golden opportunities that come only a few times in your life, and it’s sitting right in front of you. The Blackford Centre’s Professional Certificate in Social Media Marketing is your chance to open that door of opportunity and step up to new challenges and new opportunities. This comprehensive course packed with learning will repay your investment a thousand times over. The 'Professional Social Media certificate' course is delivered online once a week allowing you to study at your own pace. We supplement the written content with high quality videos, and take you each step of the way to complete mastery of all the social media tricks of the trade. 31 self-assessment tasks ensure you understand and fully absorb the lessons of each module. In just seven and a half weeks you could be earning big money as a successful social media expert. But you can take as long as you need to complete the course so this course is perfect for everyone who needs a flexible schedule. A final exam with 50 questions marks the end of the course. 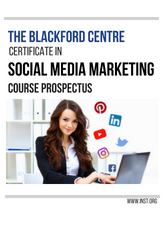 At the successful conclusion of the course you will be presented with a Professional Certificate in Social Media Marketing from the Blackford Centre. You'll also get a Certified Social Media Expert badge to put on your stationery and website, which identifies you as a true social media expert. Will this course change my life? As with every potential life changing decision we usually get back what we put in. A little uncertainty always accompanies a new direction in life but that's part of transformation, of fulfilling our potential and becoming who you are really meant to be. We understand those questions and fears that may have prevented you from taking this step, of taking charge of your life and becoming a successful social media professional. But you'll find all your questions are answered in the Professional Certificate in Social Media Marketing course. It's been designed and written by social media experts who will engage your attention every step of the way and lead you into an exciting new world rich with possibilities. Explore the wonderful world of social media and be amazed at just how much fun you can have learning. This is a whole new level of education as you’ve never experienced it. Be prepared to gain insider secrets, special insights, and a wealth of richly rewarding knowledge that will take you to a whole new level of social media expertise. And remember our money back guarantee if by any chance the course does not completely satisfy you. Why should I register on it? The Professional Social Media Marketing Certificate has been thoughtfully planned to take you through each step to becoming a social media professional. We take our responsibility to you very seriously, so all the information you need is there in the course material. The course will take you to the top of your game as quickly as possible, with lots of insider tips that you won’t find in other courses. You'll learn all the essential skills such as creating posts that will ignite huge amounts of likes and lead to real measurable sales increases. You'll discover how to resize photos appropriately and how to manage a social media campaign effectively. 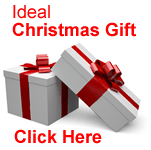 You’ll also learn creative writing skills and unlock your untapped inspirational genius. Plus, you’ll learn how to run your own business as a successful independent freelance professional. Now you can say goodbye to being an underpaid overworked employee forever. Remember those boring classes at school where there wasn’t time for the teacher to answer your questions? Well, the Blackford Centre wants to introduce you to a revolutionary style of learning, one that suits your learning style and your timeframe. What makes the Blackford Centre so special? The Blackford Centre has been at the forefront of online professional training courses for more than twenty years. Join our experienced course writers on a transformative journey to a whole new level of professional learning. The structure of our online courses gives you the freedom to study anywhere in the world and in your own time. There are no rigid class schedules to follow because it’s all online. Now, you can take control of your learning, of your life and your destiny. The Blackford Centre is accredited and registered with the UK Register of Learning Providers (UK Provider Reference Number 10009490). The Blackford Centre is now taking online learning to new levels in South Africa, India, and Australia as well. Companies such as Land Rover, Royal Mail, Jaguar, Marks and Spencer, RAF, Selfridges, Easyjet, Unilever, HM Revenue and Customs, Medway Council and many others use our courses as a crucial part of their staff professional development programmes. The constantly growing list of satisfied customers is your assurance of a profoundly enriching and life changing learning experience. Imagine the thrill of watching the numbers of your social media followers grow, the joy of helping others grow their businesses, and the satisfaction of making a difference. Embrace the dream of financial freedom and start your journey to self fulfilment today with the Blackford Centre’s professional certificate in social media. This is the opportunity you have been waiting for. This is the chance to take a new direction in your life and to make your mark. Enrol on the Professional Certificate in Social Media Marketing and take your place on the world’s internet stage. The Award is further evidence of your abilities on social media marketing. It could help you attract more clients. To learn more contact us by phone or email.